Mummy and Daddy fell in love with you a long time ago Dubai. When we asked them why, they couldn’t give us just one answer. They clearly love you for so many reasons, rather like how they love each other really. They love your weather, your stunning beaches and warm sea, your spectacular architecture and the range of activities you have to offer. They love your people, how family-orientated you are and how safe you are. They’ve said so many times how much they would love to show us around you Dubai. The biggest problem will be where to start and how much we can cram in during our time in such an amazing place. Mummy and Daddy asked us where we would most like to go. After serious thought and consideration we’ve narrowed it down to a few key places, places that we think best suit our family. As a family who are utterly obsessed with skiing, a family trip to Dubai would not be complete without a trip to Ski Dubai. We were so excited to discover that we could ski in Dubai, not to mention enjoy other fun filled snow-based activities like your Track Bobsled runs, your Snow Cavern filled with interactive experiences, and of course your Tobogganing hills. We would also love to meet your penguins and there are a couple of thrill seekers in the family that would kill for a go on your Snow Bullet. Basically Dubai, we wouldn’t want to leave. We love the snow, so we’d probably look rather like this the whole time we were there. Mummy and Daddy didn’t visit any of your water parks last time, but there is no way we are leaving you Dubai without a visit to Wild Wadi Waterpark. The bulk of the family are waterbabies and adrenaline junkies so this is the perfect place for us to visit. Daddy and our resident mermaid are up for absolutely anything and both are most at home in the water. We think they would love your Jumeirah Sceirah. Mummy would have to close her eyes as it would make her knees wobble, whilst they were trying to race each other down. Mummy would be more into the Lazy River, but we might be able to convince her to give the Master Blasters a go. All of us would enjoy playing around in Juha’s Dhow and Lagoon which looks really good fun. Water guns and blasters are always a winner, especially when we can all try and aim them at each other. We think that the thrill seekers in our family wouldn’t be able to leave your exciting water park without giving the Wipeout and Riptide a go – as one of only four of these rides in the world, we think this one would be a must try. 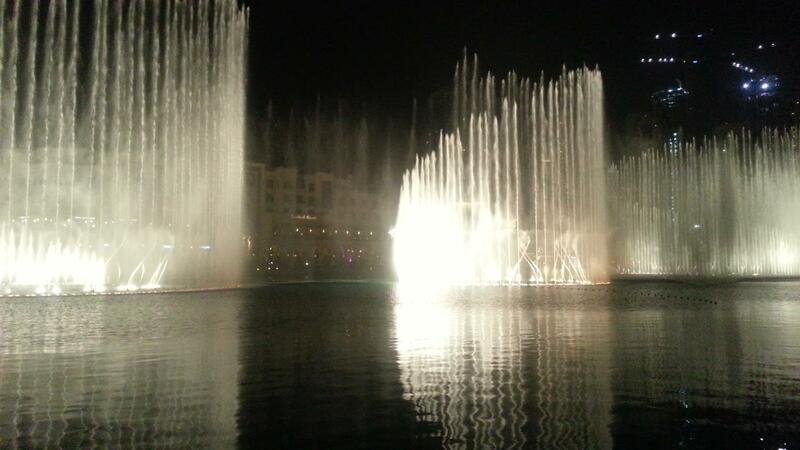 Now Dubai, no trip to you would be complete without watching your incredible fountain a few times. Mummy and Daddy haven’t shut up about this since they saw the 140m water jets shoot out of the Burj Lake to music. They’ve said over and over how much we would love the show. We didn’t believe them when they said the fountains can be seen from space. Who doesn’t want to see the world’s largest dancing fountain? With so many shows a day, both afternoon and evening, we think at the very least we would need to see one in daylight and one in the darkness. We think this is something the whole family could enjoy over and over again and can’t believe something so spectacular is free of charge. No trip would be complete without a visit to the beach. We love the beach and Mummy takes us a lot at home, only at home we tend to have to wear our waterproof suits and wellies! It would be lovely to visit your stunning sandy beaches. Although there are lots of beach clubs around, we think that JBR Beach would be ideal for us due to it’s convenient proximity to The Walk, which features plenty of juice bars, burger joints and gelato counters. Mummy would love the juice bars, Daddy would love the burger places and we’d love the gelato! We think that we’d need to escape the heat at some point so we’d love it if Mummy and Daddy would take us to KidZania. This is the perfect attraction for us as there is something that we would all enjoy. The smaller members of the family would love “Urbano’s House”, the exclusive toddler-friendly zone located on the Upper Level in KidZania. The older children would love the role play aspect of the attraction and we love the idea of the kidZo currency! We are always getting involved in role play activities at home so we think KidZania Dubai would be somewhere we wouldn’t want to leave. Basically Dubai, we’d be spoilt for choice. We know we’d run out of days trying to squeeze in all the fun things to do. We’d have to fit in riding a camel at some point and we know Daddy would want to go on a Desert Safari too! Mummy would want to see what we thought of the Burj Khalifa and we think it would be pretty cool to say we’d been up the world’s tallest building too! Mummy and Daddy love you so much Dubai and we know we’ll love you too! This post is an entry in to the Tots100/Dubai Dreams blogger challenge. We’d love it if you’d leave a comment telling us about your Dubai Dreams – if this post is chosen as the winning entry, the BEST COMMENT on this post will WIN a family break in Dubai! So get commenting and share your Dubai dreams. If ever there was a country to turn your head and make you fall in love, I can completely understand how it would Dubai – and I haven’t even been there! A place so elegant, fresh and new. With warm seas – oh my – I have only ever experienced this once before yet I still dream of it! And have you watched the programme about the Burj? Oh, I would have to find enough pennies to at least go in for a cup of tea. What a place. Iconic and fabulous, the whole resort just blows me away. Good luck with your entry. I completely agree with everything you have said. We visited Dubai last November, sadly my husband was poorly the whole time we was there, so we didn’t see anything like as much as we wanted too. Gladly he’s all recovered now, little did we know it was heart problems. We would love to go again one day & have said we will do one day but sadly the bank has took a dip since he was poorly. We had such plans about visiting the main shopping centre – well it has to be done – the architecture is amazing & we really wanted to spend time just looking at it. Hopefully a trip up the Burj Khalifa, like you said how cool would it be to be in the tallest building in the world – though hubby isn’t a fan of heights, so I’d tell him not too look down. The amazing fountains, we wanted to see if they rivaled the fountains in Mont Juic Parc in Barcelona, which are amazing. I would love to visit Dubai. It is an international hub of culture, adventure and a little bit of luxury. I would most look forward to dining al fresco, swimming in warm seas and having adventures. Some of the top activities for me and my family would be the beach, the waterparks, Dubai Fountain, Dubai Miracle Garden and the Aquarium. And I couldn’t leave without taking a safari. The world is becoming a smaller place and I love that it means places like Dubai are becoming a much more practical family holiday destination. I have been doing my own research on the Visit Dubai website and they really have listed everything and made it so easy to work out an itinerary before you go, so you don’t miss anything on your ‘must do list.’ Good luck with your competition entry. Whoever wins really is going to have the opportunity to make dreams come true for their whole family. Wow, I would love to take the kids to Dubai – I have it pencilled in for a special treat for my 40th (which is approaching faster than I would like!!!!!) Dubai appeals to me as there is such a wide range of activities that would please everyone in the family – not one I’m bored would I hear!!!! 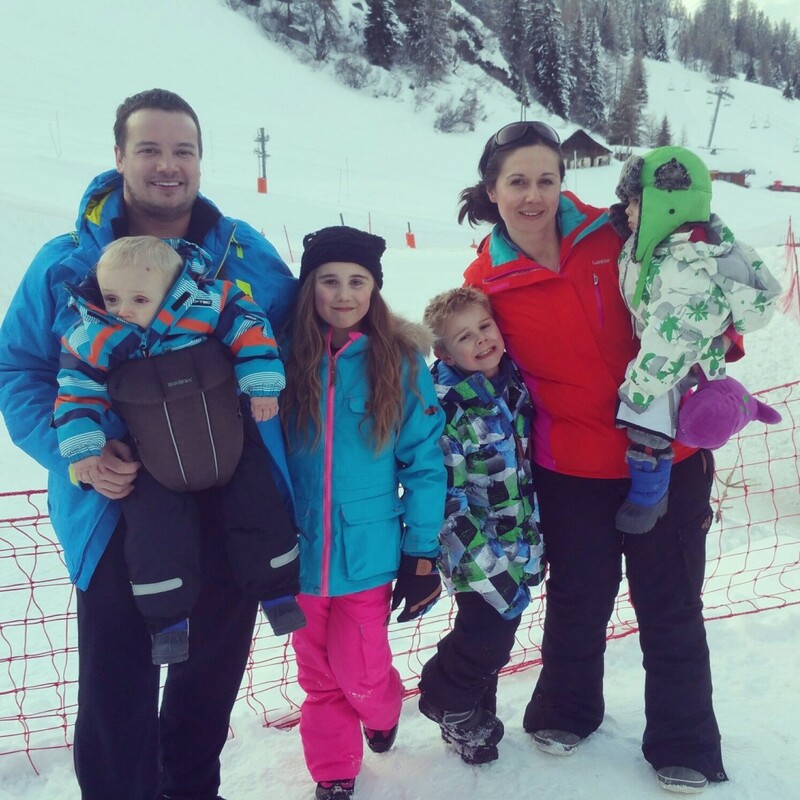 I would love to try Ski Dubai – I have always wanted to go skiing but my snow fearing husband isn’t having any of it – Insisting that he doesn’t do snow and that it seems like far too much hard work! So I could leave him on the beach and take the kids for blast tobogganing! I also hear the shopping is pretty spectacular so I would be in my element again! I don’t think a trip to Dubai would be complete without seeing the famous fountains! I can only imagine how mesmerising they would be. The thought of the heat in Dubai does bother me a little but knowing that there are indoor activities like Kidzania to do makes it a little easier on the mind. We would just love to go to Dubai and make some AMAZING family memories to treasure forever… memories are made from these amazing experiences and those experiences are something i intend to give my children for as long as possible. I have never been to Dubai before but I’ve been dreaming of visiting for a few years. Here’s my dream itinerary for a fabulous four day holiday! Day One: I always like to spend my first day taking it easy after the journey there and try to get a feeling for the local area. So we would spend day one having a relaxing swim in the sea and then a exploratory walk. Later, we would take the 90 minute Yellow Boat tour (Dubai RIB Boat Cruise: Palm Jumeirah and Dubai Marina). It’s an exhilarating ride around the bay for the kids (but not too tiring) and a great way to see the Palm Atlantis, Burj Al-Arab and the royal palaces. Day Two: The second day would begin with a once-in-a-lifetime deep-water dolphin encounter at Atlantis The Palm – something all the family would love and remember forever. The dolphin experience also gives you free entrance to the Atlantis’ Aquaventure Waterpark and 25% off your visit to the Lost Chambers Aquarium, so that’s day two covered! Day Three: After a couple of child-focussed activity days, my children are usually more open to a more adult-orientated sightseeing tour so we would spend our third day with Tour Val, a highly-recommended sight-seeing tour of the old and new city so we can learn more about the beautiful city of Dubai. Day Four: You can’t visit the desert without riding a camel so we would spend our final day on a Platinum Heritage tour, offering a Camel Safari followed by a Land Rover Safari in the desert where you are taken for a meal and entertainment at a bedouin camp! You see, Dubai is so magical. You would think you were dreaming, even when you’re there! Dubai has been one of those destinations i’ve never really considered with children, but the more I read, the more open I am becoming to taking a trip (or at least dreaming of a trip) with my family. To be able to ski and see dolphins in the same day is pretty amazing, I LOVE the sound of KidZania – sounds really fun and I’d also want to visit a Mosque and the Souk. Now back to my dreams, hoping that one day they will become a reality. Your dream trip sounds brilliant – I love the variety of your key places and they sound perfect for your family. I’d not heard of JBR beach before, but if there are burgers, juice bars and ice cream, I think that’ll be our family sorted too. 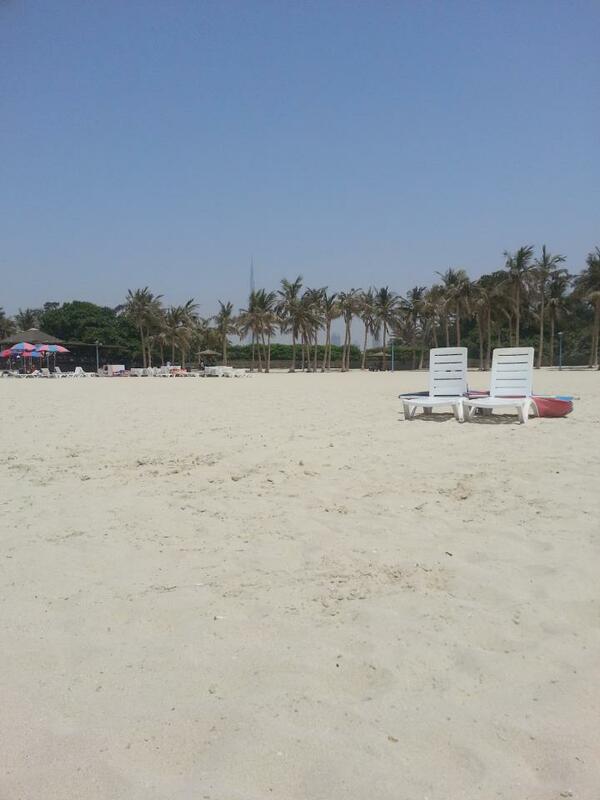 We were by JBR Beach when we stayed. It is great! There is a playground for the kids and there is a spalsh park and inflatables in the sea you can pay for. What I really liked was these big boards along the walk that you could go up to, take your photo and then send an e mail of it home! Other highlights were the fountains, and perspective gone mad when you are up the Burj Kahlifa. I actually thought Duabi Mall looked small. Later I got lost in it. It is not small! I would love to go back and go out to the desert. I saw a trip where you could spend half the day sandboarding and then gone and snowboard! How fantastic is that! I would love to take my grandsons on a Dream Trip to Dubai – a clean, safe, family-friendly holiday destination, with plenty of activities to choose from for any age range. As well as relaxing on the beautiful golden sand of JBR Beach with its warm, calm and shallow waters we would all enjoy a dune-bashing safari followed by a camel ride and BBQ dinner in a Bedouin desert camp. We would visit the Dubai Museum in the Al Fahidi Fort to learn about life from a bygone era as a contrast to the amazing architecture of the modern city which we could view from the front or rear carriages of the driverless Dubai Metro system and then take it all in from the At The Top observation deck of the Burj Khalifa, the world’s tallest building. The free and impressive Dubai Fountain water, light and music show can be watched from one of many waterfront cafes just outside the Dubai Mall. The malls in Dubai have many family attractions to choose from. The boys could try ice-skating, helped by the ‘penguin pals’, visit the Dubai Aquarium and Underwater Zoo and also see the giant 155 million year old dinosaur skeleton (DubaiDino), all in the Dubai Mall. The boys love theme parks and this summer Dubai will open the world’s largest indoor theme park – IMG Worlds of Adventure with four themed zones inside including Marvel, Cartoon Network, Lost Valley – Dinosaur Adventure and IMG Boulevard. This will be completely enclosed and temperature-controlled with 1.5 million square feet of entertainment space! Our only problem will be going home with so much more left for us to see and do in beautiful Dubai. Dubai looks simply amazing. So much to do, so many different worlds all wrapped up in one gorgeous place. Looking at what Dubai has to offer, I’ve been really impressed by the range of family-friendly options – theme parks, indoor fun sessions, skate parks – as well as sports, stunning beaches, and entertainment. What I hadn’t realised was how much variety there is in Dubai in terms of food and culture. Our son is a huge foodie, despite being only 10, and would love visiting some of the restaurants and tasting the new flavours. As a family we would love to be able to visit Dubai, and experience just a taste of what is on offer. Our elder son loves nature, so would enjoy the different wildlife on show. And dad… well, quad-biking in the sand dunes would suit him perfectly. As for mum… of course Dubai is a shopper’s paradise! And I’m sure we would all enjoy a tour of historic Dubai, as well as the many museums. There truly is something for everyone. The hardest part will be choosing what to do. It really does seem that Dubai has it all, a wealth of opportunities to explore and experience. Dubai really is the city of possibilities and I want to ‘Discover All That’s Possible In Dubai’. Dubai has been at the top of my bucket list for many years now and reading you post has made me want to visit so much more! Souks, skyscrapers, sand and sea, Dubai really has something for all the family and the possibility of visiting this incredible city is making me super excited. escape the ‘day to day’, making memories and recharging our batteries. And it would give us the chance to simply spend our days together as a family, enjoying each other’s company before Jack starts school in September. 1// A day of aquatic fun at Atlantis’ Aquaventure Waterpark to cool off in the Dubai heat. Aquaventure caters for all the family with its record-breaking rides and slides for thrill seekers and the Splashers’ Children’s Play Area, which is a haven for little ones with water cannons, slides and climbing frames. 2 // A once-in-a-lifetime experience at Dolphin Bay. As there’s no age limit, we could enjoy this amazing experience as a family and I can only imagine the joy on the children’s faces when they get up close to these amazing creatures! 3 // Experience the heady heights of Burj Khalifa. We couldn’t visit Dubai without venturing up the tallest building in the World, and although I’m afraid of heights, I’d still feel compelled to visit the observation deck on the 144th floor. As long as I don’t stand too close to the edge, nor look vertically down, I think I’d actually enjoy it. Best of luck with your entry! Wow the Dubai fountain looks absolutely amazing! I would love to go to Dubai just to see that yet there is so much more all in one place – it is almost too hard to imagine so I will have to go there to find out for myself 🙂 The beautiful beach beckons me, incredible concerts and entertainment, retail heaven and then relax and unwind by trying out traditional spa therapies at the hammam! The food in Dubai looks divine and I bet it is delicious. My husband would love the adventure sports, golf courses and falconry. There is something here for everyone. Dubai is my dream destination. Good luck with your entry, it sounds like you would really make the most of your time in Dubai. I had no idea there were so many amazing things for families to do until just recently and now I can’t think why we’ve never been before! Ski Dubai looks fantastic as do the water parks; I’d be joining you on the lazy river though I think!! What a place to fall in love with. Having looked at the Visit Dubai website I can totally understand why. It is one of those places that the more you find out about it, the more impossible it becomes to resist and it firmly plants itself at the top of your bucketlist of destinations. Well that is exactly what has happened to me. When choosing a holiday for the family it can be so hard to find the right location and to feel confident that you’ve made the right choice. Dubai seems to more than tick all the boxes and it is somewhere that you would feel certain was the perfect family choice. That fountain sounds utterly incredible – I had no idea it could be seen from space. What a claim to fame for a man-made structure to have! Just brilliant. I hope your Dubai dreams come true! I have never actually been Skiing..something tells me I would fail miserably at it (mainly because I am clumsy) but if I was ever to try it then I think that would be the place. It looks so much fun! My dream is for me and my family to swim with Dolphins in Dubai (it makes me tear up at the thought!). I would love to do it in a much more natural setting than in a swimming pool and I have heard there are some amazing places to swim with them! I would love to visit Atlantis too as it would be a brilliant day for everyone (and I am a big kid). I also would love to just chill on the beach with my boys, building sandcastles too, with a cocktail in hand (you can build sandcastles with one hand…right?). Just heaven! Your itinerary sounds amazing; I have added the Fountains to my bucket list! I had a look at the Visit Dubai website and there is so much to do. I would love to go to the Souks and buy some fabric to make cushions etc. I would also love to stock up on aromatic, exotic spices to liven up my cooking back home. My husband hates shopping, so I’d probably have to send him off to do something else, perhaps he would enjoy Dune bashing. I’m sure after the trip we would come back with a longer list of places we want to go in Dubai. I love this – you are right, Dubai is a place that leaves you wanting more. I want to go back already and I had three years there. OK so some of my attractions include the husband who is out there on his own while we wait for our next adventure in the UK, but I still haven’t explored every piece of the Dubai Mall, seen the fountains properly at night, been to an Iftar down at the Cultural Centre, been up the Creek on an abra tour (i’ve only been across) not to mention the numerous golf clubs, taking the boys out to the sandy dunes in Al Qudra lakes, out to the Bedouin Tents. Dubai. It worms it’s way into your heart and has a way of leaving you wanting more.